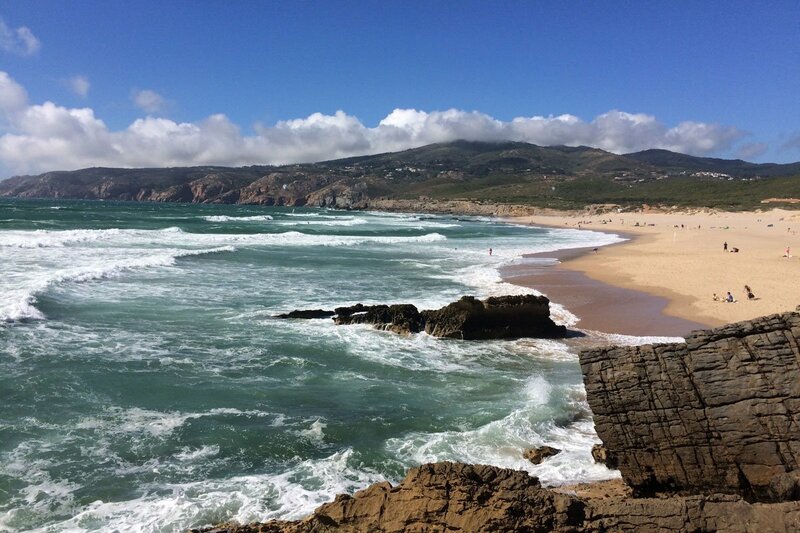 Once at the beach, take a stroll on the sand or enjoy a refreshing drink at Bar do Guincho while taking in the view. For the adventurous, there is a school located on the beach for surfing, kitesurfing, and windsurfing lessons. 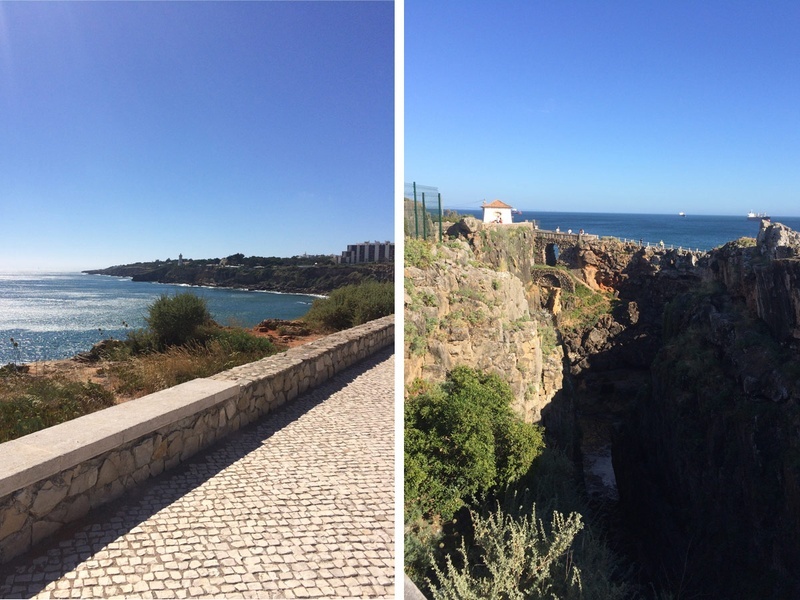 As you follow the coast westward out of town (in the same direction as the bike path to Guincho), you'll cross a small footbridge. To your left is the lighthouse Farol de Santa Marta; below is a calm, shallow inlet of water perfect for taking a dip in seclusion. The sunsets in Cascais are stunning, and the rooftop of Hotel Baia offers a perfect place to sip on a cocktail while watching the day dip slowly into night. 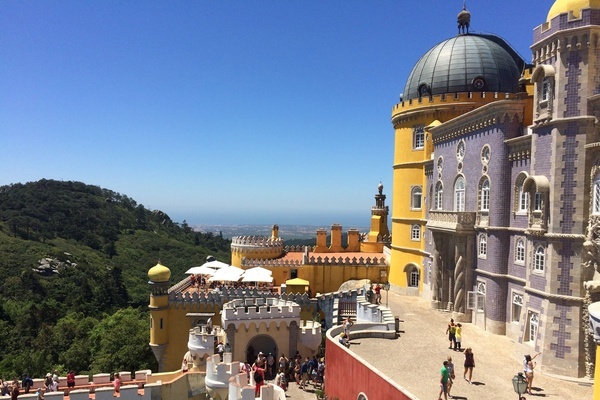 Sintra is an easy day trip from either Cascais or Lisbon. 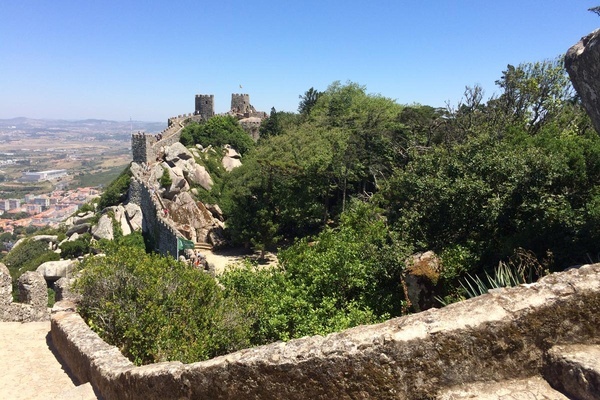 In the mountains high above the village are a cluster of castles, the gem of which is the vividly colored Pálacio Nacional da Pena. 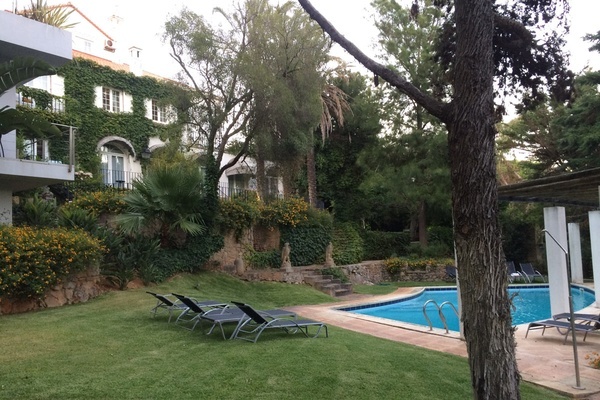 Adjacent to the Pena Palace is the Moorish Castle (2710 Sintra; +351-21-923-7300), ruins surrounded by natural gardens in a beautiful state of disrepair. It is truly a hike to get up to the castles, so wear comfortable shoes. Sintra has its own microclimate that can bring a chilly fog, so bring a light jacket as well. You'll want to spend at least a half-day exploring here — go early in the day to beat the heat and crowds. Pro tip to make your Instagram pics pop: choose an outfit with bold patterns to compliment the geometric arches and intricate tiled walls you're sure to pose in front of. Caroline is the founder of Upcause Public Relations and is based in Washington, DC. You can follow her on Twitter. She travels for the stories.